It’s Shark Week starting July 23, 2017. What started as annual television event is now celebrated across social media channels and even at Shark Week parties. 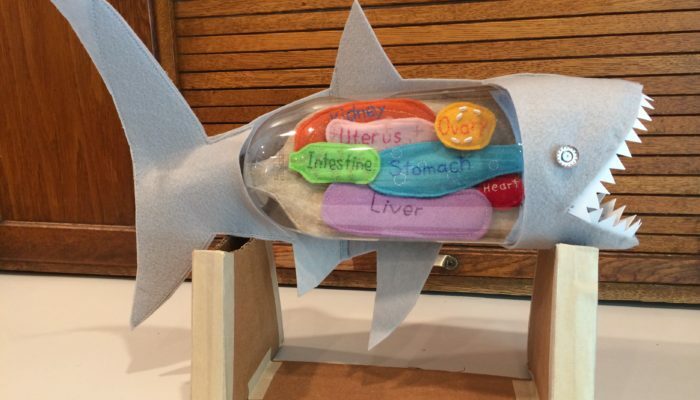 So now is the time to talk about TrashAnatomy – my anatomy models made from recycled materials – because my first prototype is a shark anatomy model. 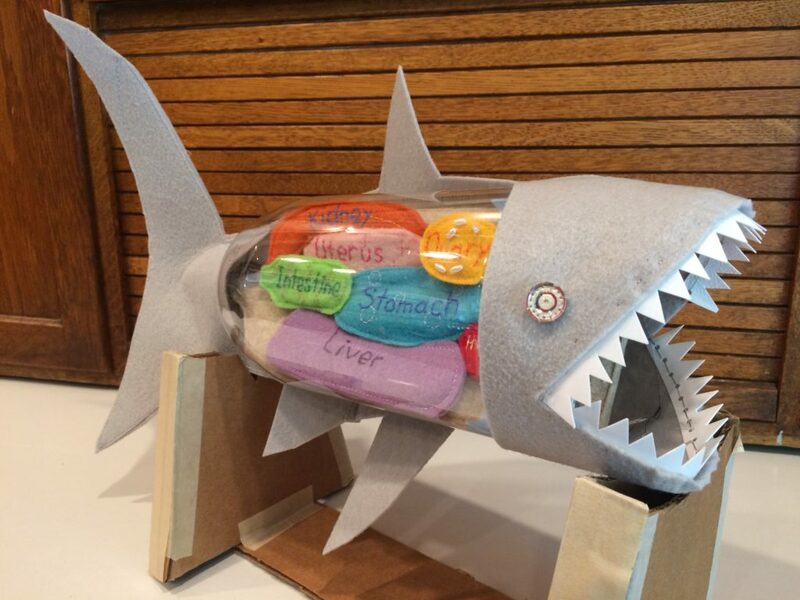 This story is great for people who are interested in sharks, but also for those interested in product development. If you ever had a calling to make something, but it takes months or years to evolve, this is a story for you. Many years ago, I purchased a plastic shark anatomy model for my daughter that unfortunately broke within a week. My first thought was that I should have made her a shark model instead of buying one made of plastic. So I started to imagine it. What do you think of the latest prototype? It would mean so much to receive feedback about it from anyone who loves sharks or anatomy models, and who could imagine buying a finished model or making one following a pattern. 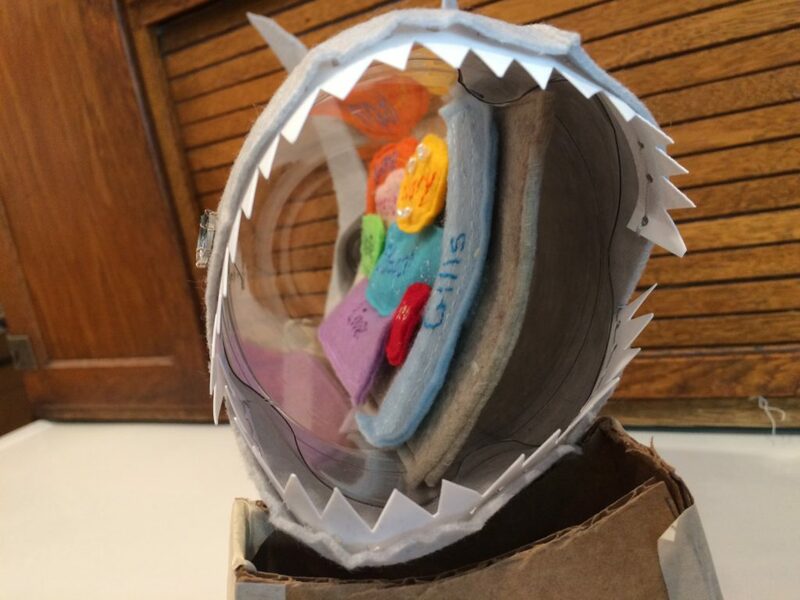 Hear the details about how the shark anatomy model evolved in the podcast, or download my podcast notes on how I made a shark anatomy model from recycled materials. Hiné Mizushima – She made a felt sculpture of a squid and a deep water clam showing their insides. Emily Stoneking – She knits and embroiders anatomy art. The first piece I saw was a dissected frog. Robert Mahar – He sells embroidery kits of printed human anatomy drawings that he had printed on Spoonflower, which is a service where you can print images on fabric. 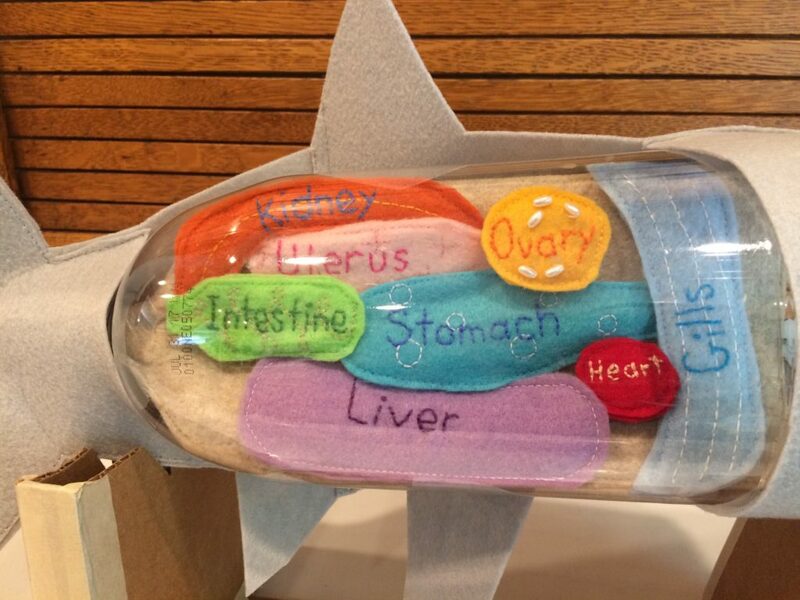 If you think the TrashAnatomy shark is cool or could be improved, please send your input to trashmagination@gmail.com. Are you someone who would be interested in buying anatomy models in this style? Would you be more interested in buying a completed model, or a pattern? Also let me know your favorite shark facts or species. Which organ do you think is the most interesting? One lesson I hope you might hear in this story is that when you are buying a gift, stop for a moment and consider if you could make them something instead. Or check on Etsy to see if an artisan is making it by hand. We don’t need to buy objects made from molded plastic. I was inspired to make this project partially because I realized that I showed a lack of imagination when I purchased that gift in the first place. Celebrate Shark Week! – It’s a great opportunity to think about a species that is in most cases on the endangered species list. Maybe celebrate by bringing your canvas bags or your own cutlery to outings so we can reduce the amount of plastic disposables in the ocean. 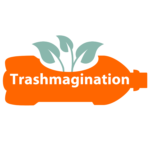 Please give the Trashmagination podcast a review! 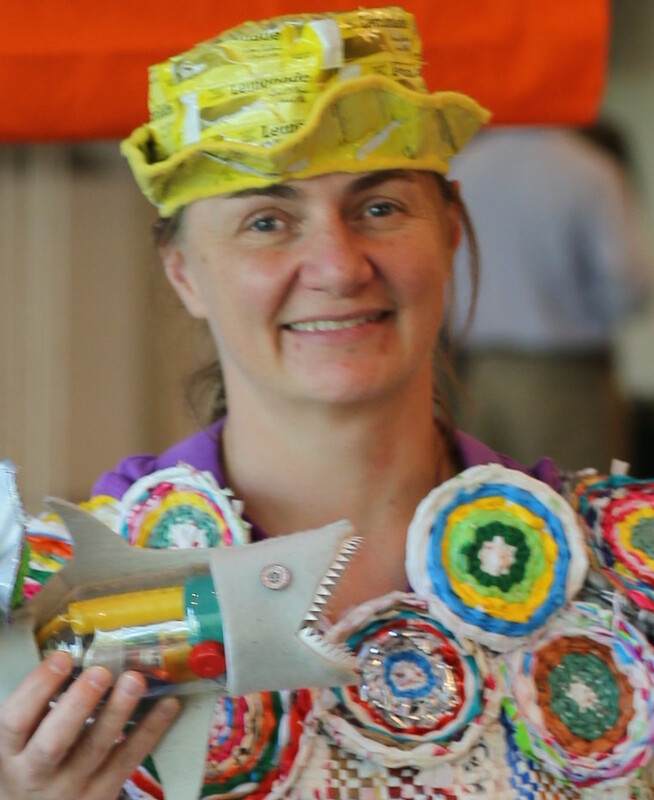 Help more people learn about creative reuse inspiration by sharing how this podcast has helped you. 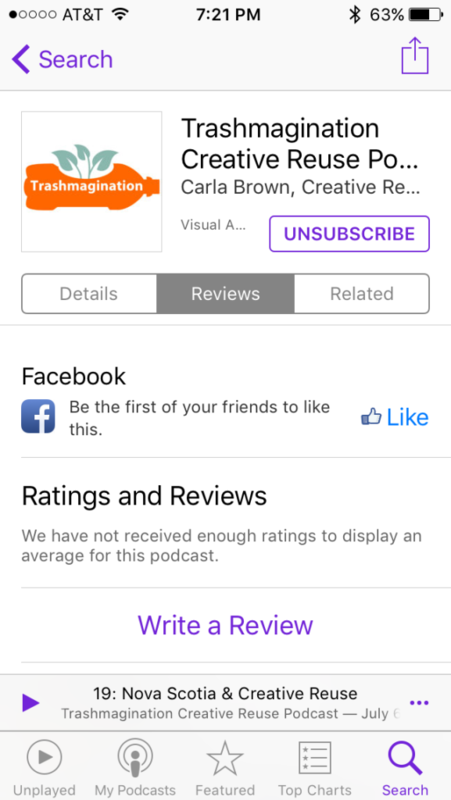 In the podcast app, search for “Trashmagination” by clicking on the magnifying glass icon. A screen comes up that shows Details, Reviews and Related.